Jesika wears many hats. 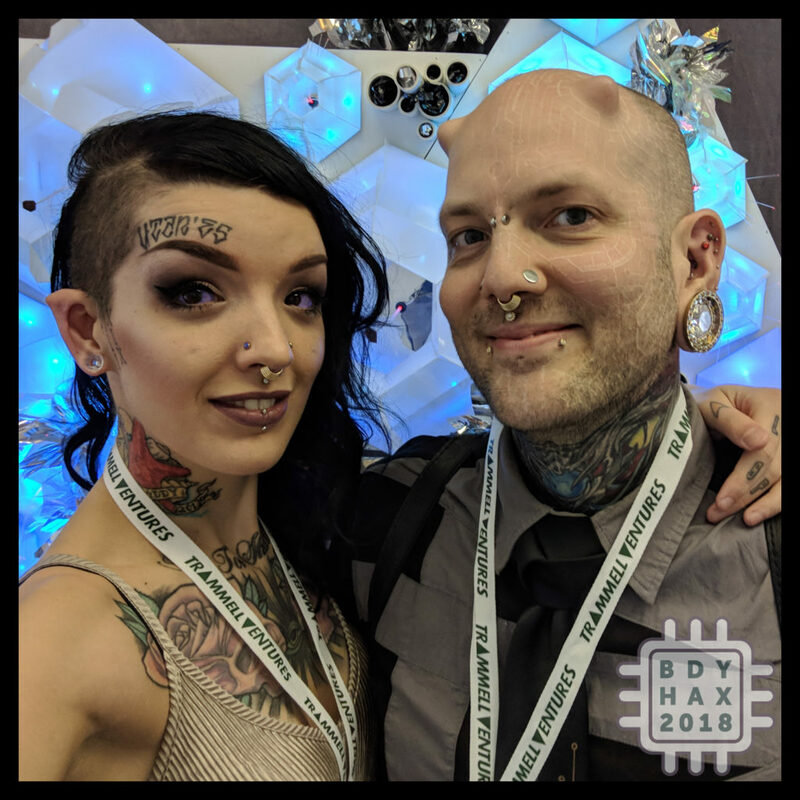 She is an amazing up-and-coming cosmetic tattoo artist (Cellar Door Cosmetic Tattoo), body modification assistant (russfoxx.com), animal rights supporter and among other things; an overall wonderful human being. 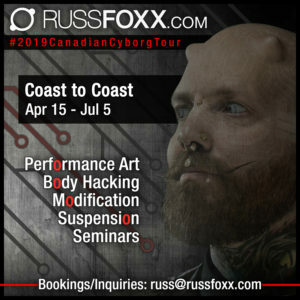 From Canadian tours & professional conferences to daily body modification work in Vancouver, you’ll always find her by my side; learning and venturing forward. She has stuck by and supported me through so much, including my decisions to relinquish my intake of nicotine & alcohol as well as taking on a completely plant-based diet. Hacking our bodies can be arduous; but through the best times and difficult, she is always by my side. I couldn’t ask for a better friend, wife and partner in life. Jesika also has an NFC tag implanted in her hand to allow her the ability to never lose her house keys again.